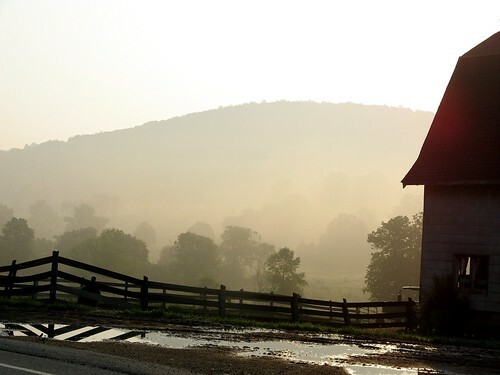 misty morning farm, originally uploaded by jahansell. On my way to the Pawling Triathlon, I stopped to take a quick photo of this lovely misty scene. For more on why I'm not posting more today, click here! Can't believe you still managed to think about a photo! Bet you felt a bit misty eyed yourself when you crossed that line! Its so mystic feeling looking at the picture. Sometimes Ruth reads my mind. So I don't have to say anything....Oh yes I do; simply WOW, MAGNIFICENT! This is one for the next favorites short-list! It must have energized you. Beautiful photograph with the lighting.